hmm, perhaps Li Jue and Guo Si are separate factions. People like Huang Zu can be his own faction as well as opposed to being a part of Liu Biao. There are still a lot of locations that need people to settle them but I guess we will have to wait and see what is announced. LiuBeiwasGreat wrote: hmm, perhaps Li Jue and Guo Si are separate factions. People like Huang Zu can be his own faction as well as opposed to being a part of Liu Biao. 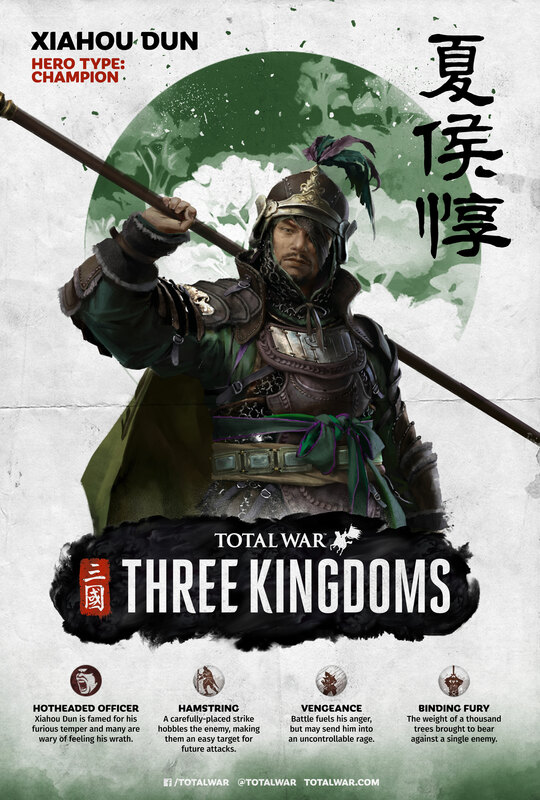 Making Li Jue and Guo Si their own faction is something I considered as well, though I'm unsure how likely it is--them being separate from Dong Zhuo while he's alive will look very weird to anyone familiar with the period since they were some of his main generals. Xiahou Dun poster is now up. Gray Riders wrote: Xiahou Dun poster is now up. In the historical version the game is harder so you won't have it. Didn't one of the Dynasty Warriors games make a joke about this in the Wu story? Where Sun Jian is going to find Hua Xiong than Guan Yu rides in suddenly and kills him with a surprise attack? He can cause earthquakes. 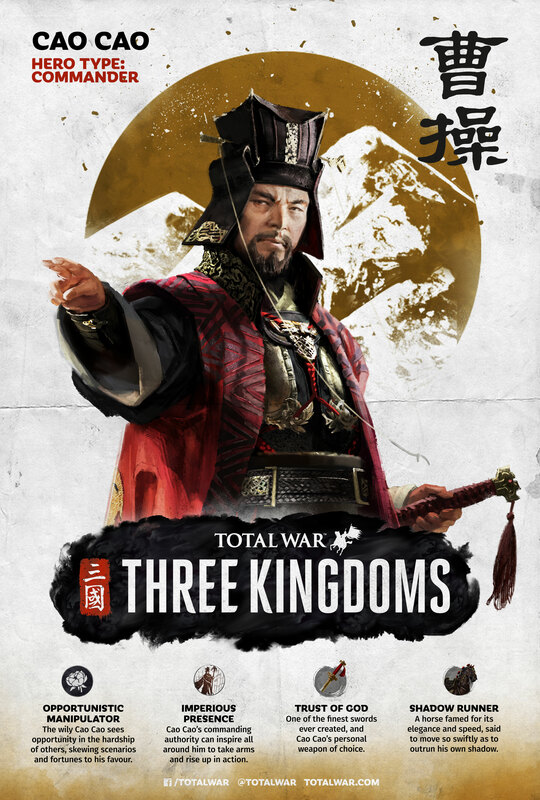 Yeah this is actually less historically accurate than Koei's ROTK series.